The mountains of the Cordillera Vilcabamba rise to form a ragged chain between the regions' two great rivers; the Urubamba and the Apurimac. Along the cordillera's northern side, massive snow peaks collide with lush tropical rain forests. Located northwest of Cusco, Nevado de Salkantay, the cordillera's tallest peak, is at the eastern end of the chain and rises to 6271 meters above sea level. 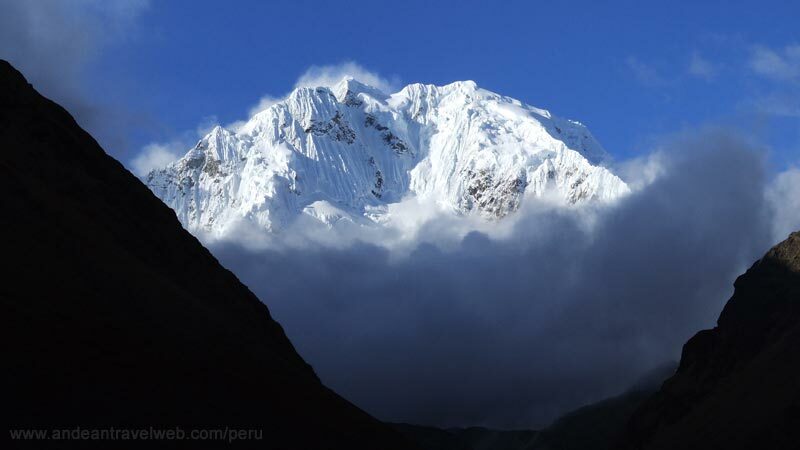 The name Salkantay means 'Savage Mountain' which may refer to the swirling clouds that rise up from the jungle lowlands and engulf the peak. The Salkantay to Machu Picchu trek normally takes 7 days and has become popular with trekkers wanting to combine a quieter less trodden route with a visit to the Inca ruins of Machu Picchu. For the first 4 days you will be surrounded with magnificent scenery and rarely see other groups of trekkers. On the fifth day you join up with the Inca Trail at Wayllabamba and continue to Machu Picchu arriving early on day 7. 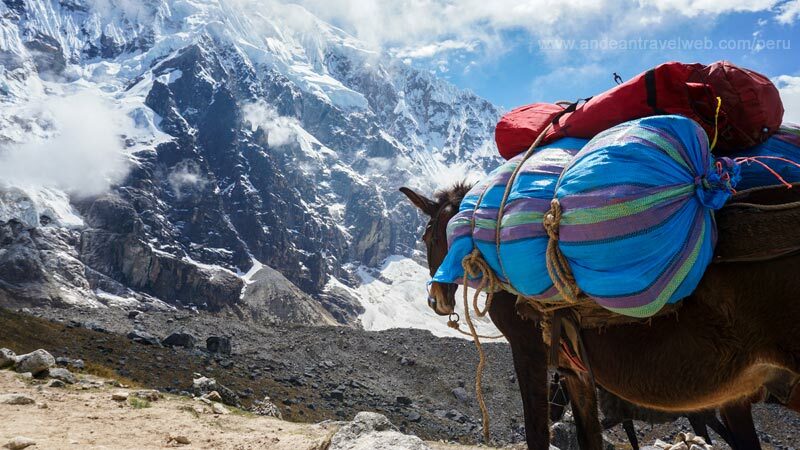 The trek is only a little more difficult than the Inca Trail, and horses can be used for the first 4 days to carry food and equipment. Since horses are not allowed on the Inca Trail, you'll swap over to using human porters for this final section. 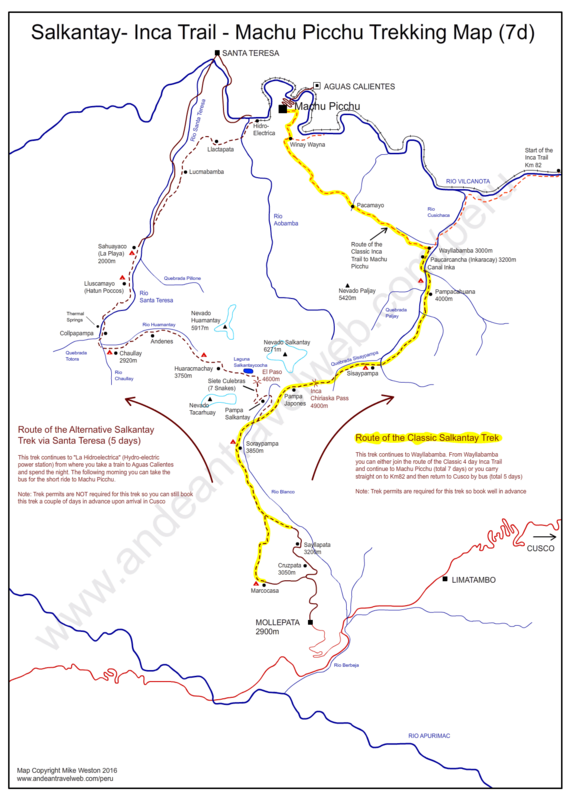 Only a few tour companies operate this trek and you'll need to reserve a space well in advance. Day 1: It is a 4.5 hour bus ride from Cusco to Mollepata at the start of the trek. Mollepata is an attractive village built on a hillside overlooking the deep citrus producing valley of the Apurimac. From the village the trail ascends valleys filled with flowering shrubs buzzing with hummingbirds and passes isolated houses. After about 3 hours you'll arrive at a good camping spot close to an irrigation channel. Day 2: Nevado Humantay (5917m) dominates the mornings views. After about 5 hours of trekking the small settlement of Soray is reached. The valley broadens and flattens and the beautiful conical snow-capped peak of Nevado Salkantay comes into view. The camp is situated a further 1 hour from the village of Soray. 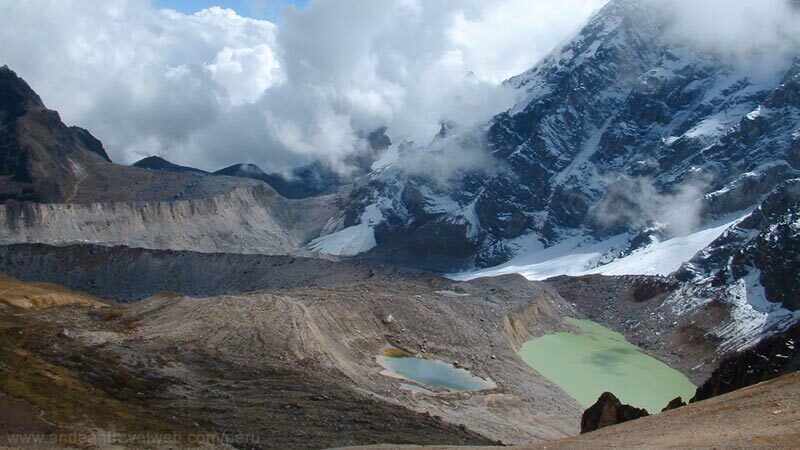 Day 3: A 4 hour trek brings you to the Incachiriaska pass (4880 m) - translated as 'the place where the Inca cools down'. Up here in the rocky crags is the home of the Andean Condor, the world's largest bird and believed by the Incas to be a messenger between heaven and earth. The trail continues east down through a long broad valley to Pampachuana, a small village some 4 hours from the pass. The camp is just above the village. Day 4: In the morning you will see that the valley begins to narrow and the river becomes a canal. The Incas frequently cut canals through valleys to increase the amount of agricultural land - this canal is a excellent example. After about 3 hours walking down the steep valley you arrive at the Inca fortress of Inkaracay (also known as Paucarcancha). It is well worth spending a little time exploring these ruins. It is only another half hour walk to the village of Wayllabamba where you join the popular Inca Trail. The horses and horsemen will return to Mollepata and you'll be introduced to the porters who will accompany you until Machu Picchu. You may camp the night at Wayllabamba or continue a few hours further along the Inca Trail to an alternative campsite. Days 5, 6 & 7: These days follow the same itinerary as days 2, 3 & 4 of the Classic Inca Trail to Machu Picchu.